Are you being called? Called to be a leader? Called to get involved with your parish? Contact Mrs. Castor to find out more about our Diocesan Youth Council. 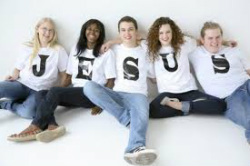 These teens meet frequently and plan Youth Conferences and other wonderful youth centered activities throughout the year. Want to get involved in your Parish? Want to build a relationship with Catholics your age and JESUS? ​Want to hear some topics relevant to you?